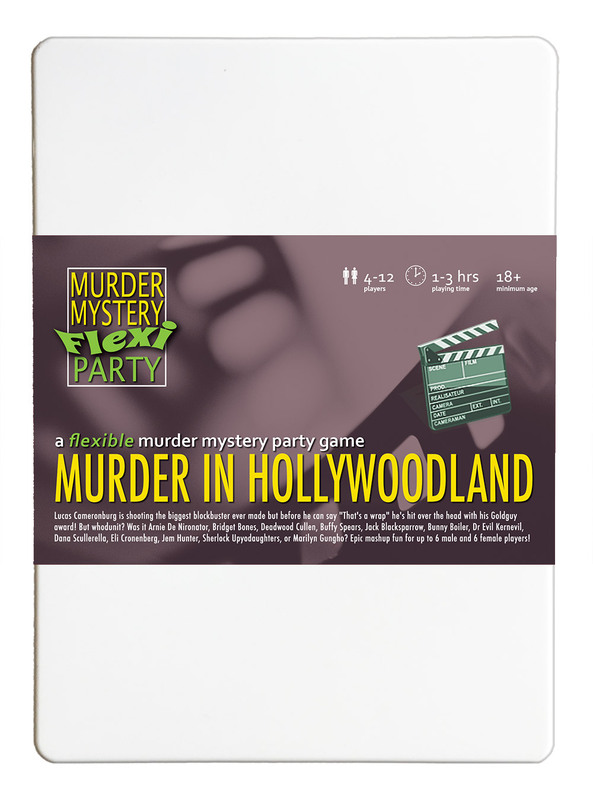 Murder in Hollywoodland - �.99 delivered. You're invited to a star-studded yacht party, as Lucas Cameronburg is shooting the biggest blockbuster ever made! But before he can say "That's a wrap! ", he's hit over the head with his Goldguy award and pushed overboard! Host your own party to find out who cut Cameronburg from his own film! SUITABLE FOR 18 YEARS AND OVER. This game was written in 2014 and contains references to abuse of power, sexualised themes and plentiful innuendo.